State Systems, Inc. understands offices were meant to have a comfortable level of silence. Employees have hundreds of noise distractions throughout the day−from the phone ringing, email notification alerts, text messaging, co-worker office discussions and dozens of other disruptions. Employees usually try to take matters into their own hands to eliminate background noises, usually by wearing headphones and having background music drown everything else out. Others may bring in their own noise machines such as fans, heaters or water displays. Office distractions can negatively affect work environments by creating more pressure and stress on employees. This could have a negative impact on morale — resulting in less productivity, a higher absentee rate and dissatisfied workers. To install a white noise system in your Mid-South building, call us today at 866-308-5701! Sound masking comes from the physics principle that says when soft natural or artificial background noise is added to a room, the conversations and noises in the room are less understood. The soft sound that is introduced masks distracting and disruptive office-related noises. Why install a sound masking system in a workplace or commercial setting? A study by the Data Management Association found that open-plan workplaces that lack sound masking systems witness a 40 percent loss in productivity and a 27 percent increase in errors, especially in data entry tasks. Employees can save money on new construction projects by installing a sound masking system. Work areas that feature sound masking systems require less insulation and interior walls, less expensive ceiling tile and lower partitions. Installing a sound masking system in a workplace offers a tremendous return on investment due to the resulting increase in worker productivity, reduction in errors and savings opportunity on construction projects. A sound masking system is generally used in commercial offices, but they are also suitable for use in hospitals, banks, libraries, courthouses and call centers in Tennessee, Arkansas and Mississippi. White noise is a sound containing a blend of all the audible frequencies distributed equally over the range of the frequency band. State Systems provides the latest and most efficient white noise systems to reduce background office noises. Our office white noise systems are non-distracting and unnoticeable. With a neutral sound, they can increase concentration, further increasing worker production and focus. White noise office systems work by adding background noise to an environment to “mask” other noises. These systems fill the silence with unstructured sound, or white noise, in an effort to provide undetectable sounds that drown out potential distractions. 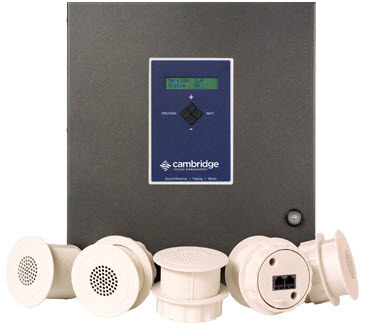 Personal white noise systems provide business-grade privacy for an individual work area. The personal systems focus on a specific area, while also masking other distractions. The individual office white noise systems don’t require personalized training to install. Open-office white noise systems allow for sound masking for a centralized, open-space work environment with multiple offices or cubicles. This setting offers a more uniform and comfortable level of white noise management. For more information about our white noise systems, or for a quote, contact us » or call 866-308-5701.